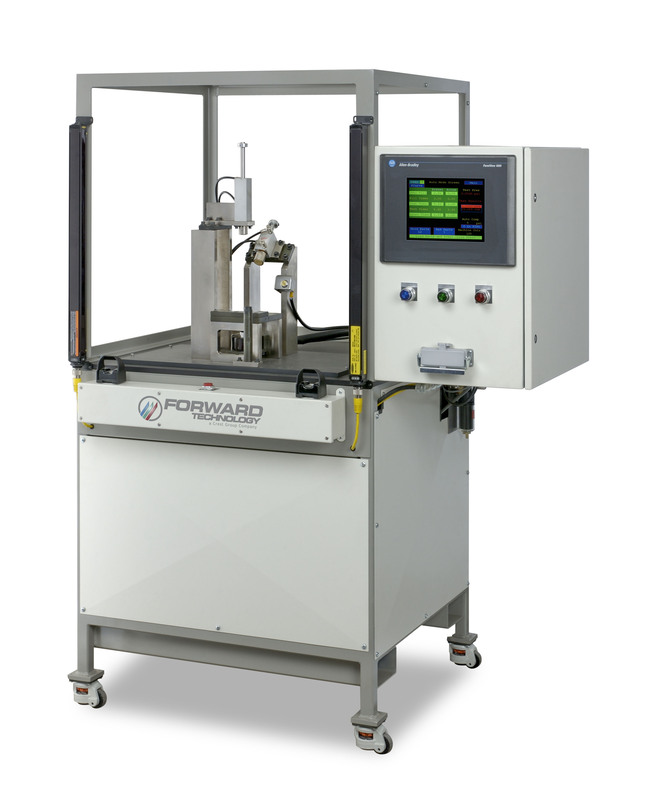 Forward Technology offers a wide array of Plastic Welding and Testing Equipment. Hot Plate Welding, Vibration Welding, Spin Welding and Infrared Welding are a few of the plastic welding processes we offer. Over 40 years of Plastic Welding experience. Forward Technology can develop cost effective and flexible assembly solutions using our core welding and testing equipment and modern material technology and robotics. Custom designs to optimize production efficiency. Pneumatic, Servo or Robotic part handling. Pressure Decay leak testing in multiple cavity configurations are Forward Technology's specialty. Secondary function & electronic testing. Wide array of part marking methods. Plastic welding and welded part testing machinery and tooling. Learn more about our automation offering. 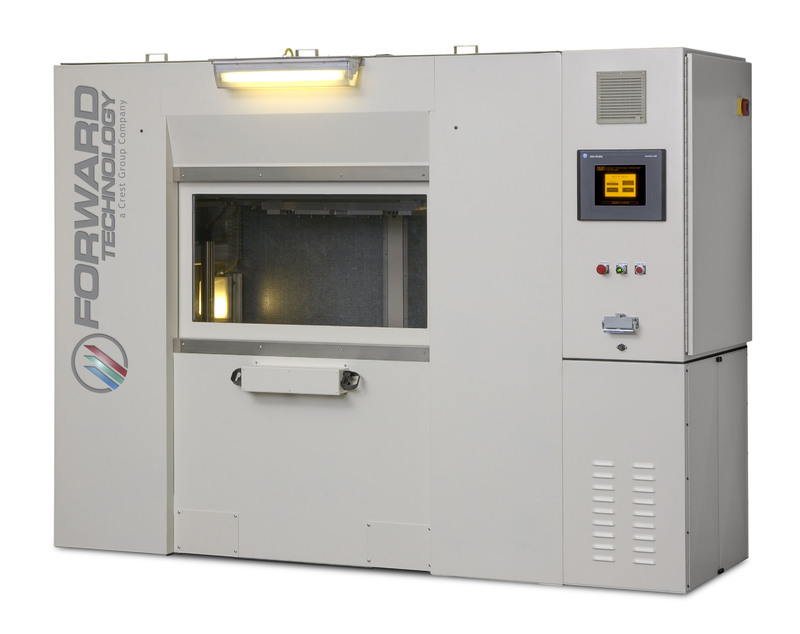 For increased quality assurance of welded components, Forward Technology can incorporate leak testing into your assembly cells. 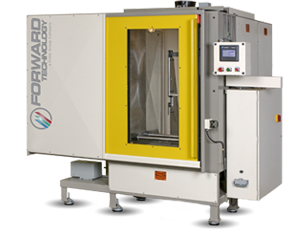 Forward Technology is a world class manufacturer of standard and custom Plastic Welding Equipment and Testing Systems. In addition to our standard welding equipment, we offer custom systems that integrate automation and robotics to link our standard processes. The VH-1445 is a vertical heat platen orientation hydraulic motion controlled hot plate welding system. The DLVW-2248 is a hydraulic motion controlled digital (servo-electric) drive linear vibration welder. Each leak test system is custom designed around the customer's test requirements and often includes functional testing, component verification and detection, pokey-yoke inspection, and a variety of part marking options. The EH-BT is an electronically controlled, self contained hydraulic (glycol/water) based burst testing system designed for sample testing applications requiring the highest degree of precision. 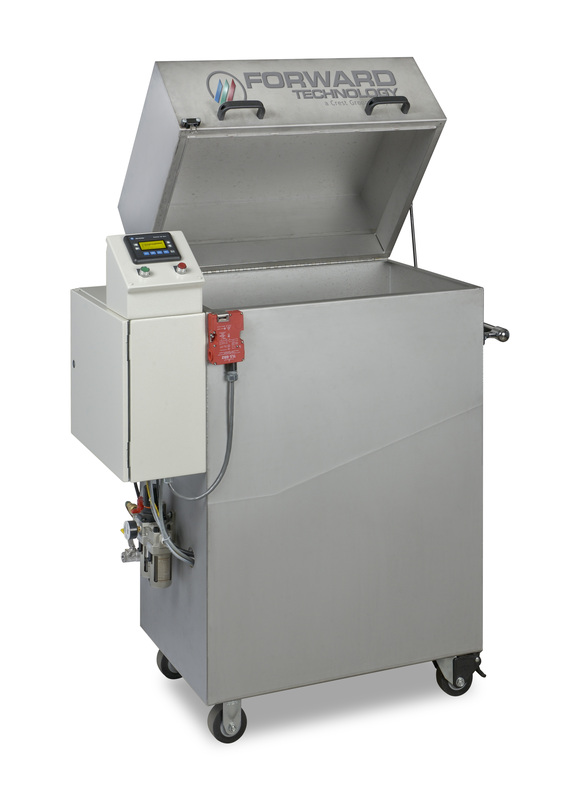 This tester is capable of testing with fluid pressures up to 1500 PSI.